Protein skimmers, sometimes called “foam fractionators”, are used to generate and inject small bubbles into the water surface, purifying it from waste particles. Reef aquarists use a protein skimmer to keep the water clean in their aquariums, but protein skimmers use can be traced to various other spheres as well. If you are serious in keeping your tank clean, then you seriously need to understand more about them. 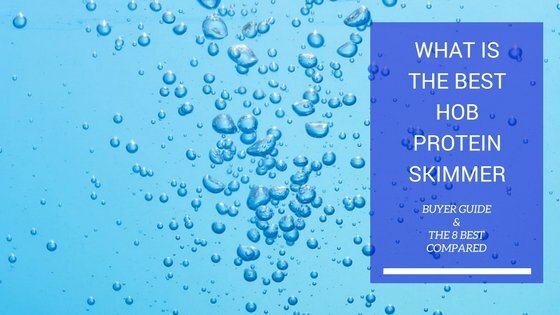 We have already explained in the details the benefits of protein skimmers in a previous article we suggest you check out. Now, in this article we are focusing into a special type of protein skimmers called HOB protein skimmer (hang on back) which are considerably more convenient, as they hang neatly on the back side of your water tank with no need for a sump or additional room under the tank. There are a couple of things you should consider before jumping to conclusions and pick the best protein skimmer for a reef tank. As you’ve probably figured, each protein skimmer works by a similar principle. Protein Skimmers generate small air bubbles that purify the water, and the smaller the bubbles are, the more efficient the cleaning process is. However, if the bubbles are exceptional small, even tiny, there’s a possibility of the entire process going backwards – the generated air serves as a filter of sorts, and even though the small size provides precision, the extreme variants (smallest bubbles) might saturate the water too quickly. This way, not only will you have a water tank full of organic material, you’ll be oblivious to that fact as well. The size of the bubbles depend solely on the protein skimmer’s method of operation. Most of the time, you’ll get to see one live – this might give you a clear picture of whether it will be good for you tank or not, but if you’re shopping online, the situation is a bit more complex. If that’s the case, make sure to check for “plumbing parts” on the skimmer you consider buying. The “pump” is what is generating the bubbles, and it’s (commonly) several times the size of the bubbles, but it might give you a good starting point for later comparison. The punch line is – extremely large parts usually generate larger bubbles, and vice versa. The reason behind categorization of protein skimmers is quite simple. There are various types of protein skimmers (external skimmers, inside skimmers, hang on back skimmers, and so on) which are based on the location, but there are also types that differ from one another in size. Just like the previous section, you’ll want to pick the one that is best suited for the size of your water tank. Extremely large skimmers tend to be a bit noisier, small hang on skimmers are compact, but slower, and it’s up to you to decide upon the balance of benefits and drawbacks. If you have a tank that ranges between 10 to 30 gallons, check out this article for further advice on more suitable protein skimmers. 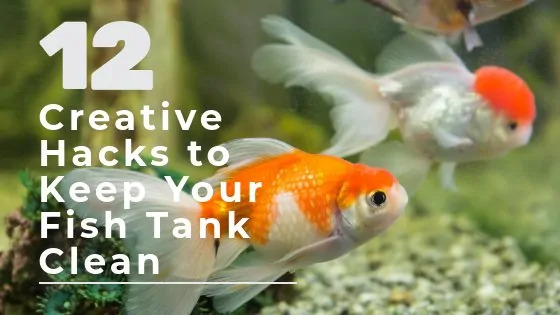 If on the contrary your tank is 200 gallons or above, then this article can help you. Needless to say, certain complex skimmers require an awful lot of time to mount, whereas most hang on skimmers completely eliminate this problem. first, the pump delivers the water from the tank straight to the skimmer, and second, it provides air supply. Even though every pump works like this, there’s a fine line between a good pump, and a bad one. A good pump will remain efficient while executing the process at a steady pace, whereas bad pumps need to sacrifice one of the two – you’ll either get the job done very slowly, or you’ll see a rushed process fail. Heavy-duty pumps are supplied to extremely large skimmers and tanks that are often used to purify pools and large water surfaces. There are differences between cheap and boutique protein skimmers, and we’re not talking about the price alone. First of all, there’s the issue of reliability. Paying extra doesn’t guarantee that you’ll be completely satisfied, but you can rest assured that your skimmer won’t break down on you. Furthermore, the speed of the skimming process is variable – cheap models will get the job done, but they might take a while to do so. 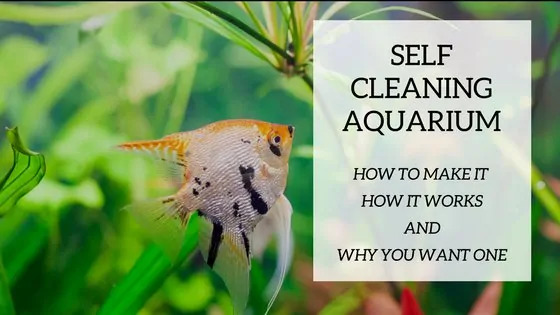 Again, depending on the water tank you own, you’ll want to choose accordingly, as certain lifeforms need to live in a clean, waste-free environment all the time. Last, but not least, top high-end models come outfitted with superior features, which further boost the overall efficiency, including speed, reliability, and other important factors of performance. That being said, you could be satisfied with a cheap model, but finding a reliable one might prove to be a tricky task. Most protein skimmers operate in a similar fashion – they produce air bubbles once you’ve set them up, which later lures the organic waste and molecules in a special “collector tank”. Disposing of the waste ends the process, and most people think that’s pretty much everything they need to know about skimmers, but is that right? There are mistakes that you can make on every step of using your protein skimmer, ranging from moments before the purchase, over the mounting process, to actual skimming process. The first most notable mistake is “buying a skimmer that won’t fit the reservoir capacity”. Essentially, it’s quite easy to make this mistake – most people think that if the HOB skimmer fits inside the aquarium, it’ll do just fine. That’s wrong, as we’ve mentioned in the “skimmer types” section. Getting a light-duty skimmer for your massive fish tank will do no good to anyone, and you’re bound to expect some troubles with either the skimming process itself, or the speed of it. The next mistake people often make is the “mounting process”. The “hang-on-back” (HOB) skimmers are supposed to literally hang on your fish tank’s “back”, and there’s little room for error, yet people still manage to find it. Never place it “inside”, as “interior skimmers” are used for those occasions, or too far away (exterior skimmers). Last, but not least, always read the manufacturer’s warnings. The protein skimmer technology is exceptionally “fragile”, or so to speak, and most brands have had difficulties with one thing or another. If the manual specifically prohibits certain actions, make sure to follow through. People often watch YouTube videos which “explain” how their skimmer is used, but there’s no better way to learn everything you can about it in the user’s manual/instructions. The first protein skimmer in our review is also our top pick. Namely, Coral Vue Technology is one of the most reputable brands, as well as one of the leaders in the protein skimmer industry. We’re introducing you to BH-2000 Octopus – it’s supremely fast, large-tank protein skimmer that will easily take care of food-waste and harmful molecules from your water tank. Check out this video to see how to set up the reef octopus BH 2000. Reef Octopus BH90 is our runner up pick, coming straight after BH-2000. It’s a bit too large for comfort, but after seeing it action, we can confirm that it works like a charm when placed on large and medium-large water tanks and aquariums. It features a massive water storage tank, and it’s powered by an exquisite Pinwheel pump. The best thing about it is the innovative cylindrical body shape – it performs better than most models within the price range due to a more efficient skimming mechanism, allowing for faster, more efficient waste disposal. SC Aquariums have reinvented the skimming technology with their SCA-302. Namely, this skimmer is, by far, the fastest and biggest heavy-duty protein skimmer in our review. It features a huge reservoir that can accommodate aquariums and water tanks with up to 180-gallon capacity, but it’s not large at all. In fact, most people would find it surprising that this protein skimmer features a small, compact size, given that it’s best suited for heavy-duty skimming. Other notable features include the Atman’s needle-impeller pump and superbly durable construction materials. If you liked BH-2000, you’re definitely going to love Coral Vue’s BH-100. Essentially, this protein skimmer is a more affordable variant when compared to our top pick – it comes with all the necessities onboard, and it features a similar skimming system, albeit at a lower price. The catch is that this model comes outfitted with somewhat outdated technology and features, hence it’s just a bit slower, and perhaps less efficient, but it’s still pretty balanced overall. 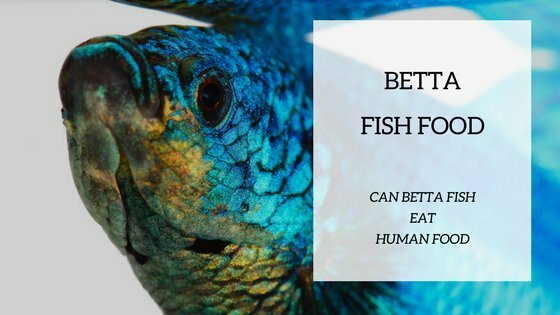 We highly recommend it for two reasons – it comes from a reliable brand, and It’s pretty good for people who own medium-size aquariums and water tanks. Reef Octopus’ 100 hang-on back protein skimmer is a “Classic” for a good reason. It features a standardized design with some minor tweaks that make it suitable for larger water tanks and aquariums (approximately 105-gallons capacity maximum), and it features a fast-working pumping system. This marvelous skimmer is powered by Aquatrance 1000, and it features an adjustable surface attachment for increased mounting convenience. On top of that, it’s decently affordable, but we can’t label it as cheap, per se. Overall, we dub it as reliable and valuable, but it’s up to you to pass on the final verdict. In essence, Eshopps PSK-75H is the first mid-priced protein skimmer in our review. It’s best for smaller and mid-sized water tanks and aquariums, and it comes outfitted with a high-quality external pressure pump that boasts a silent method of operation. Apart from that, other notable features include a removable water collector cup and a bubble plate. The PSK-75H is quite plain and straightforward concerning the design, and one of the best things about it is the cylindrical body shape which allows for a more efficient bubble generation process. If we’re to compare the PSK-75H to other protein skimmers in our review, we could conclude that it comes supplied with a smaller reservoir, but it’s pump is somewhat quieter. On top of that, it offers a balance between efficiency and speed concerning the skimming process, all that for a fair price – it’s neither too cheap or too expensive. Aqua Excel is a reputable brand, as well as a proud manufacturer of hundreds of high-quality skimmers. Their catalog is comprised of numerous top-shelf hang-on back, internal, and external protein skimmers, and we’ve handpicked the AE-HOB 3 as it’s slightly better than most. The last model in our review is Macro Aqua’s M-50 mini protein skimmer. Essentially, it’s both the cheapest, and the smallest skimmer from the bunch, but don’t let that dissuade you – it excels in a number of spheres. Even though it’s remarkably small, the M-50 skimmer can be used on water tanks and aquariums with up to sixty gallons in capacity. It features a nearly soundless method of operation, and it’s capable of removing any and all organic waste and molecules fast and efficiently. Last, but not least, the M-50 mini skimmer comes supplied with a tremendous set of features. The miniature hang-on back design is absolutely (without cutting back on the necessary functions), there’s a easy-to-use water collector onboard, as well as the premium-quality needle impeller pump. Overall, we’d say that you can’t go wrong if you go with the M-50. Decently durable for a budget-level protein skimmer, but you might want to pay attention when you handle it. 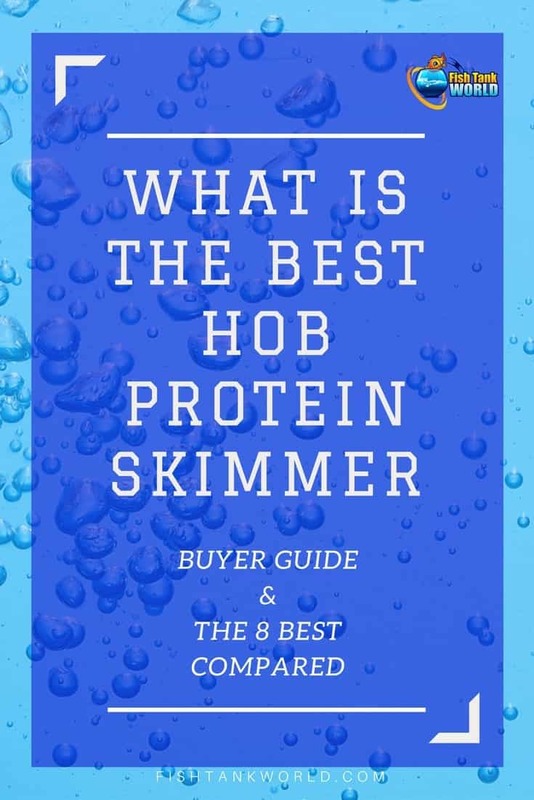 Basically, finding a good protein skimmer isn’t too hard, but finding a top HOB protein skimmer might be tricky. Namely, the market isn’t exactly brimming with versatility, as skimmers are considered as “special gear”. We’ve made this list of the best protein skimmer models for that reason alone – so that you don’t have to waste countless hours on search and research. We hope that we’ve been helpful and that you enjoy your new protein skimmer!